There are thousands who have traveled to Europe. Also, there are some who enjoy traveling to European countries on a yearly basis. I have been to Europe five times. In 1994, I traveled on a twelve-day high school bus tour through five countries, including a two and a half hour ferry ride across the English Channel. A year later, I went on a ten-day high school trip to Greece and sailed to the Greek Isles. In 1997, my family and I spent two weeks at his great aunt’s home in Frascaro, in northern Italy. Pick pockets are masters of their craft. Even their little children are just as crafty. In the summer of 1998, I studied abroad in Rome for a whole month, with visits to Pompeii, Naples, Florence, and the majestic island of Capri. The same year, my family and I celebrated Christmas at my great aunt’s house. Traveling to Europe is a fun and incredible experience. It’s an experience to always be remembered and cherished. But, no one wants to cherish the moment when their purses, back packs, or wallets get lifted. Being robbed by a pick pocket on any European vacation is the one experience greatly dreaded by travelers. A traveler’s entire day gets ruined. 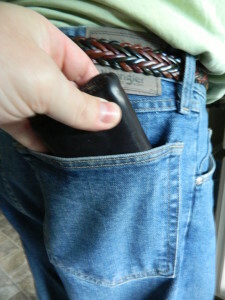 Without a doubt, pick pockets can ruin their entire vacation. It’s an experience that is enough to make their heads spin. Travelers can be in a foreign country where they might know the language, or worst case scenario…they might not know the language at all. The after effects can be highly traumatic. They may be left with no money, no ATM card, and worst of all…no form of identification. It has all been taken away by the sneakiest of all human beings, a pick pocket. With thousands of people roaming the streets of a major European city, pick pockets are opportunistic and utmost ruthless. They look like one of the crowd, but they are oh so difficult to “pick” out. During the summer of 1998, I was studying abroad in Rome with six of my college peers. During our second week, our professor was about to take us on a personal tour of the Roman Forum, the Coliseum, and Circus Maximus. The morning started off in a normal routine. We all met downstairs for breakfast in the hotel lounge. Our professor joined us a few minutes later. Once we were finished eating and chugging down a few shots of espresso, it was time to board the bus downtown. A quarter of the way through our trip, the bus made its first stop. The bus was half empty at the start, but it was at that stop at which everything changed. Roma Termini, the passenger train terminal, was the first stop. When the doors opened, a mass influx of people boarded the bus. Amongst the crowd boarding the bus was a woman in her late twenties and a two-year-old boy. I wore my fanny pack underneath my t-shirt so no pick pockets would notice it. It was a Saturday, the busiest tourist day in Rome. We were were riding the #64 bus, the most traveled bus route in Rome. The little one in the young woman’s arms was getting a little fussy, well, so I had thought. The young woman then dropped something on the floor. I wasn’t paying much attention. At no point did I feel the two-year-old reaching under my Typhoon Lagoon t-shirt to pull my wallet out from my fanny pack. The woman dropping something was the perfect decoy. With the toddler in her arms, she got off at the next stop. My college peers, our professor, and I got off at the following stop. As we got off the bus, I felt that my t-shirt was pulled out and my fanny pack felt a bit light. While fixing my shirt, I noticed my wallet was gone. The pick pockets of Rome had done their thing. The remainder of my day was a living hell. I had a credit card in the wallet, along with an ATM card, eighty U.S. dollars, my college student ID, and driver’s license. Rather than continuing on with the walking tour, my professor, my peers, and I immediately aborted our plans. We went to lunch at a favorite restaurant. I was a total wreck. I was so worried sick and upset, that I could barely eat. Both my professor and my peers were suggesting that I had left my wallet in the hotel room. They told me to double-check my suitcase to see if my wallet was in there. We went back to the hotel. Back at the hotel room, I went through my carry-on bag and my suitcase as if I was going through them with a fine-tooth comb. I came up empty. It was confirmed. I was indeed pick pocketed. My professor was kind enough to pay for any souvenirs I wished to buy for friends and family. He paid for any meals which I couldn’t pay for. My passport was locked away safely in my suitcase. At no time did I ever use my passport, except for the group bus trip to Pompeii, Naples, and Capri. It could have been a whole lot worse if that was taken, too. My wallet being lifted made my life nearly impossible. I had to call my parents back home, which wasn’t cheap. My parents put me on conference call with the bank and the credit card company. Both cards were immediately canceled. A lot of fraudulent charges had been put on my credit card. Thousands of dollars were spent. I had felt that my world was collapsing around me. It was indeed that traumatic. The bank and the credit card company shipped to me, overnight, new cards to the hotel’s address. I had to get a new driver’s license. Nobody will get over this. By luck, it showed up in the mail back home from an address in Pennsylvania. A Good Samaritan found my wallet in a park garbage can and brought it home with him/her. He/She kindly mailed it to my home address. Aside from wallets, expensive watches and bracelets, are among favorite items pick pockets are known for stealing from travelers. Throughout the remainder of my time in Rome, I took plenty of precautions. Every night, I locked my spare wallet in my suitcase. Whenever my peers and I were in a heavily crowded tourist area, on a bus, or trolley, I periodically changed my behavior. Every five to ten minutes, I turned around to check my surroundings. If I noticed someone suspicious, I walked the other way. Plus, I told my professor and my peers that I didn’t like the looks of the person nearby. In due respects to being pick pocketed earlier, they had my back. A few days before flying home, my peers, my professor, and I attended a Papal prayer service at Saint Peter’s Basilica. On the bus returning to the hotel, one of my peers alerted me about someone suspicious. One of my peers, Lauren, tapped on my shoulder and whispered, “Dave, look over there.” She pointed and I looked in the direction she told me to look. I couldn’t believe who I saw. It was the same woman and her two-year-old. I quietly whispered, “Cover me!”. Less than two minutes later, we arrived at the corner near our hotel. I was so glad to avoid “Deja Vu”. My peers were alert of their surroundings and they kept a watchful eye out for me. That was surely, most definitely, the difference maker. Pick pockets are not just in crowded cities like Rome. They are in many other touristy European cities. They prey upon tourists in Milan, Venice, Florence, Paris, Madrid, and believe it or not…even in London. I have been to London four times in my lifetime. Rarely have I heard of anyone being pick pocketed in London. London does have strange characters on the streets. Travelers should be alert wherever they go. Before leaving the hotel room, travelers should take only what they truly need. This too applies to those who plan on visiting European cities via cruise ship. All American money should be left behind. It should be locked away. Travelers can place their American money back in their wallets or purses when they return home. 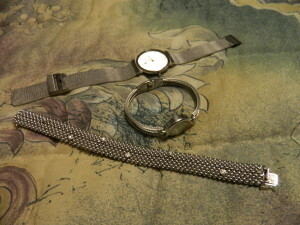 Travelers should refrain from wearing expensive jewelry. 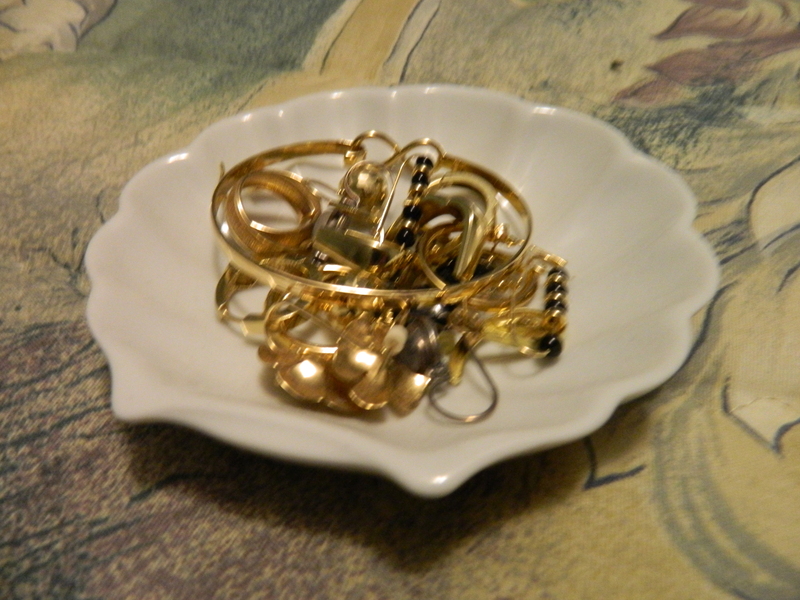 All jewelry should be left at home. Religious necklaces, wedding bands, school rings, and bracelets are expensive items. They can be taken by pick pockets at any time. They can remove those objects from anyone’s body with great ease. Pick pockets revel in taking priceless objects from innocent people in a heartbeat. Being one step ahead of the them is the name of the game. 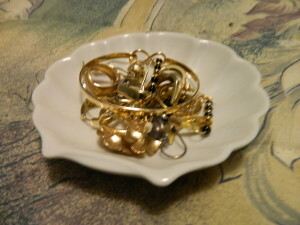 Believe it or not, items such as ear rings and wedding bands are atop a pick pocket’s list. Being a world traveler is one of the greatest accomplishments I have ever enjoyed sharing with my friends, family, and coworkers. I have seen a lot of great places, discovered plenty of interesting cultures, different lifestyles, and brought home many great souvenirs from foreign cities. The one experience I will never want to bring home again, one which no one shouldn’t have to either, is the chilling reality that their necklace, wallet, or wedding ring was lifted. Having already dealt with that experience in Rome, I intend to be extra ready and ultra careful with what I take with me on any European vacation. Travelers should act sparingly with their money. They must take only one credit card with them. Travelers should take along no paper money. They must not wear any jewelry of any kind, regardless of value. Most importantly, every few minutes, travelers must check around for suspicious people. If a person looks suspicious, it is wise to walk the other way. Travelers just never know that someone, or even their little one might go for their wallets. Pick pockets are pros of their craft. Having a solid game plan to counteract them will make the next European trip the utmost pleasant and memorable. Travelers everywhere wish they could bring home a pick pocket to the police as a souvenir. By being alert, safely securing their money, and being smart with their personal belongings, they are sure to bring home some great memories to treasure without disruption.